'TdeH' is a classic winter mountain run, traditionally run on the shortest Saturday in December. The route starts at Askham and runs around Helvellyn, mainly on mountain trails and bridleways covering a distance of around 38 miles with around 2000m of ascent and descent. A winter run of this type is tough and requires good navigational skills, experience and self reliance. The event is ‘low key’ with minimal support and all participants will need to be suitably experienced and equipped. Entries are limited in number and strictly limited to experienced and competent entrants. This is not an event for novice trail runners! Individual support teams are not allowed – and there’s a fine line between support and spectating! There is a limit of just 150 runners on this event. Sadly, we’ve had to reduce entry numbers for 2017 and our costs have increased – hence the price increase. Please note changes to the parking and accommodation. It is a condition of entry that you are suitably experienced and have the skills necessary to look after yourself in very challenging terrain and conditions. This is no ordinary trail run, but needs winter hill running experience. To enter, ensure you have read all the details below and then enter via the registration page at SportIdent. You can edit your entry subsequently, if you wish to book accommodation or amend your details, etc. We’ll have some floor space for your mat and sleeping bag at Askham in the Community Centre, on Friday and Saturday nights at a cost of £10pp/pn. This space is limited to just 25 people and must be booked in advance. We also have campervan space available at the nearby car park; again this costs £10pp/pn. The Queens Head in Askham has been popular with some runners over the past three years and is right next door to the event centre. Bank House B&B in Penrith is also highly recommended. There is also the Wayfarers Hostel in Penrith which may be an option, especially for those coming by train; taxi or lift sharing is possible, being just five miles from Askham race HQ. There are some changes to the Parking and registration arrangements from 2016 and following our successful LM42 in April 2017. Please make sure you understand and comply with these changes – access and permissions depend upon it! ALL PARTICIPANT PARKING IS AT THE WOOD YARD – There is a 1km stroll to the start – and a baggage van will take a ‘Finishers Bag’ for you to the finish at Askham CC. Friday Evening – Registration is open in Askham CC between 8pm and 10pm. Saturday Morning – Registration is open from 6.00am – until 9:00am at the Wood Yard car park. You can not register at Askham CC event centre or start. You may start at any time from 7.00am – 9-30am, but be aware that Control 2 at Side Farm, Patterdale, does not open before 9.30am and closes at 11.45am. You choose your start time, but you must not arrive at Side Farm before 9:30am. Pre-start area in Askham CC. Askham Community Centre will be a ‘Quiet Zone’ between 11.00pm and 5.00am due to people sleeping. Please do not arrive after 10pm. Car parking is at a premium, so please share cars where possible and park as directed. All of the route follows footpaths, bridleways or minor lanes in a logical sequence around Helvellyn, but it is unmarked and you need to navigate. No route description is issued; as competent navigators you won’t need one! Start and finish at Askham Community Centre (513 237). Road track and paths over Barton Fell to Howtown and Control 1, Martindale Church (435 191) a self-clip control, hence no drinks. Minor roads and then a bridleway track takes you up Boardale and over Boardale Hause to Control 2, Side Farm (398 162). This will be a manned control with hot and cold drinks and simple savoury ‘nibbles’. This control will open at 9.30am. You must not arrive before 9.30am, if you do so you will be required to wait. Anyone passing through before 9.30am will be disqualified. These times are well tried and tested, and there for very good reasons. There is also a cut-off at Side Farm CP2 (outward) at 11.45am. Hence you need to plan and pace your run, and choose your start time. If you arrive after 11.45am you will be short-routed back to Askham by the same outward route. Road, track and bridleway up to Greenside and Control 3, Swart Beck Footbridge (359 179). This is a Manned Control – but is remote from the road and has no drinks available, although the tumbling waters of the beck underneath might be flowing underneath, subject to freeze weather. Follow the bridleway over open and exposed mountain terrain, passing Sticks Pass to descend to Control 4, Stannah Beck footpath / Bridleway junction / finger post (321 189). Follow the footpath generally southwards to Control 5, Swirls car park (317 168). Run along forest trails to Control 6, Birkside Ghyll (326 124). Then ascend Raise Beck, then past Grisedale Tarn takes you down Grisedale to Patterdale and Control 7, Side Farm (398 162). Once again, this is a manned control with hot and cold drinks and simple savoury nibbles. There is also a cut off 4:30pm, and anyone arriving after this time will be transported back to Askham. Finally, retrace your outward route back over Boardale Hause, to Martindale Church (Control 8, 435 191) and then to the Finish at Askham Community Centre (513 237). Warning – Be careful with your navigation from ‘The Cockpit’ Stone Circle and on towards Askham. There are several confusing paths and too many competent runners have gone astray due to poor navigation. Don’t lose concentration in the dark; this is relatively simple ground - especially as you came this way earlier in the day! Basically, we don’t want any, especially at Swirls as it’s a long drive around and the roads may be sketchy! If you get to Patterdale CP2 and feel the full route is too much for you, you are requested to turn around and return via the outward route, thus complete a shorter day under your own steam. It is a big rough climb up to Sticks Pass and down to Swirls CP. Short routing yourself is better than a ‘DNF’ or a long cold wait in Thirlmere. If you turn round at Patterdale CP2 and walk / run back to the finish you will be credited with a ‘Short Route’ rather than a ‘Retired’ on the results sheet. We’ll be using SI timing so that you can compare those important split times. All controls are ‘self-dibbing’ SI boxes; some at unmanned controls and some at manned control points with drinks, and simple ‘nibbles, etc. Full details of control points, with a description, are on the website now. It is your responsibility to ensure you ‘dib’ at each SI control. We don not intend to make any changes, but if we need to do so you will be notified at registration. Please check you have them correctly marked on your map. You will also be issued with a race tally which must be worn on your front, or rucsac strap, and visible to event staff at each manned control. This manual system is vital to your safety . The first two years of the 'TdeH' were run in epic and awe inspiring conditions, and the third and fourth in very wet and windy conditions, which produced just as much windchill and danger of hypothermia. We don’t want to cancel due to poor weather, and so you really need to be equipped to enjoy and survive your run. Several people suffered in 2012 and 02013 due to not carrying enough warm clothing, and not putting it on when needed. It’s not wise to skimp on anything at this time of weather. 2016 was an good year – conditions were easy – don’t get complacent. Your kit will be checked on the start line. Our kit check is real and worthwhile and conducted by very experienced mountain runners. It should be short and brief; don’t skimp on your gear. Waterproof Jacket with hood, waterproof over trousers. Pertex only based ‘running’ jackets are simply not acceptable. Fabrics like ‘Pertex Shield’ or ‘Pertex+’ are acceptable. As much as I like Montane as a brand, their Featherlite Pants are not waterproof. Consider a full-weight ‘mountain jacket’ if conditions are extreme. Paramo is acceptable, of course. Long sleeved thermal ‘base layer’ shirt, plus an additional long sleeved micro-fleece mid-layer. A third additional ’emergency’, retirement layer, such as a primaloft gilet or jacket, is very strongly recommended. Warm hat and gloves/mitts (and may be spare ones too in case you fall over!) Spare ‘inners’ inside water resistant shell mitts are a very good idea. Gloves or mitts need to be warm and weather resistant. All the above gear needs to be good quality ‘winter weight’ gear, and not just normal lightweight running stuff. For example, a single ‘Buff’ does not qualify for a hat. A second ‘base-layer’ is not acceptable as a mid-layer. Long thermal leg wear. Ok, we know we have a few die-hards, so shorts may be worn if conditions and personal preference allow – but long leg wear must be carried, and in addition to over trousers. Three quarter length tights are also Ok, in all but extreme weather and when combined with good waterproof over-trousers, although shin protection has been worthwhile in previous year’s due to snow crusts! Personally, I do not regard ‘Skins’ or other compression garments as warm / thermal winter wear when used on their own. I have seen numerous people get very cold, very quickly, in compression gear. Think about it – compress your loft insulation and see what happens! First Aid Kit – Minimum of one 5x5cm wound dressing and a roll of tape or bandage. A map suitable to navigate you around the route – it’s your choice. A GPS or SATMAP is not a map and not acceptable. The BMC Mountain Map is recommended, although the start and finish at Askham is just off the map! Map choice is up to you; as long as it is suitable for you to navigate safely around the route, at a scale that you can use, and is weatherproofed, that is OK. But, please be realistic - no black and white paper photocopies, super cut down strip maps, or similar! A route description or control card is not provided on the day. 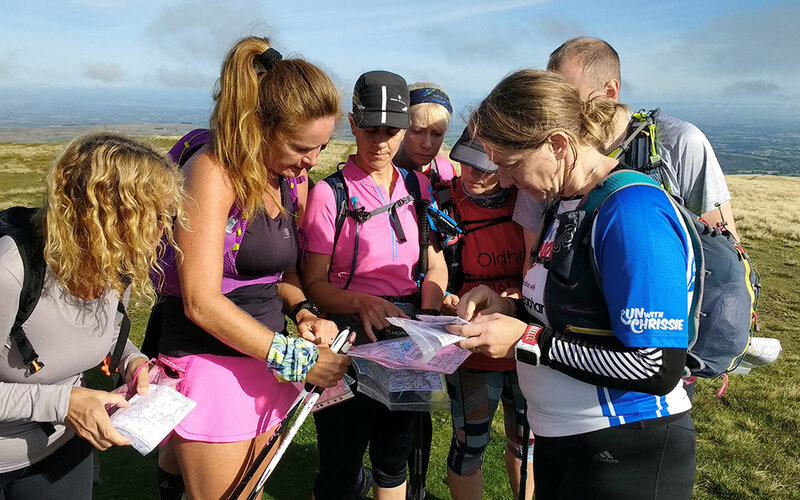 You need to mark your map up before the event – all checkpoint information is listed above. Any last minute updates will be made clear at registration. Please bring a mug and / or bottle if you want a drink! Carrying a large plastic mug also allows you to grab a drink and carry on walking rather than faffing around at the checkpoint. Trust us - we know what we're talking about! Disposable plastic cups are not provided at NAV4 events as this just creates litter and is not at all eco friendly, not to mention filling /collecting and disposing of them is an unnecessary chore for our long suffering checkpoint staff. *Please be aware that we have suffered frozen pipes, blocked sinks and impassable roads - be prepared! Finally, if you have any questions then contact us, or post it on our nav4Adventure Facebook page. Entries are open now and are limited. 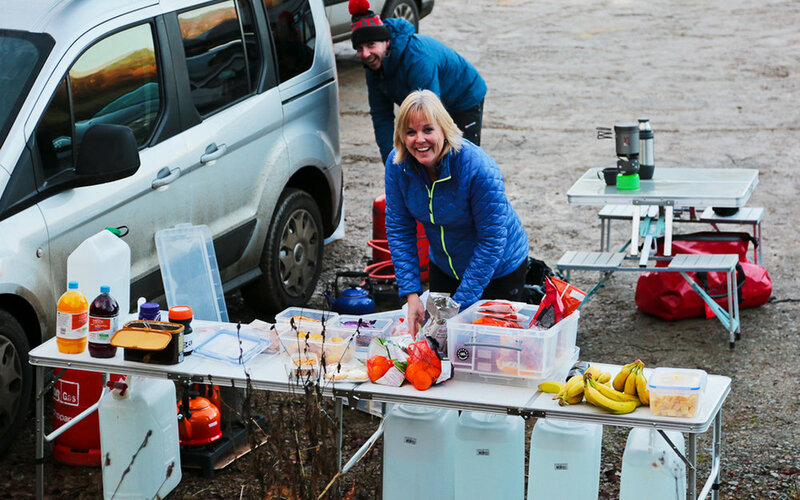 If needed, you can ‘Edit Your Entry‘ at a later stage should you wish to add a bit of indoor floor space for your mat and sleeping bag or campervan space nearby. Though be warned, these spaces are limited. OK – That’s it. Let’s be safe and have some fun – see you in December!